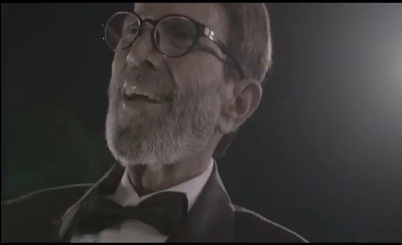 Rajesh Khanna’s Havells fan ad – nice but psychotic! This was an ad that many of my nobles told us to check out all day during court today. So we had a look between engagements, to see what all the ruckus was about. 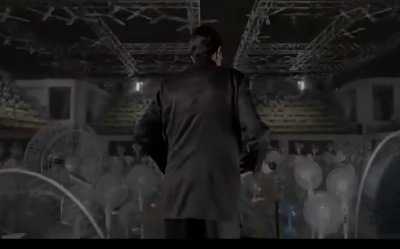 So we have Rajesh Khanna strolling through a corridor of light. He looks so thin! 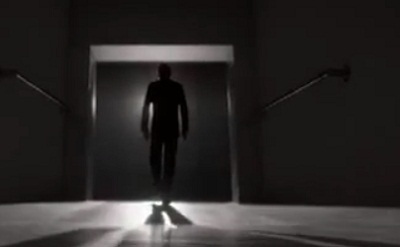 He is strolling through a corridor of light and reminiscing about his old life…is he dead? Alright…he is talking about his fans. Well we must give it to him, he was the first superstar of his land. Nearly dead looking Rajesh Khanna + talking about the good old days + Babu Moshaye = Reenactment of the last scene of Anand? 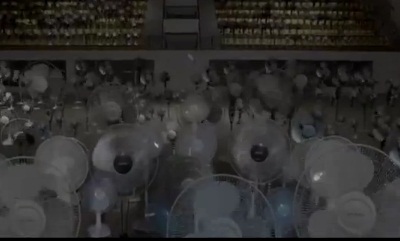 He smiles and he whistles, surrounded by hundreds of twirling, silent fans. Alright alright, let us get one thing off our chest first. Basically like a shaggy over grown fat bear. It is known that he has been unwell as such, but good god man! Forget size zero, that’s a size minus 34. But other than that, it is difficult to pinpoint where exactly the creepiness comes from. Perhaps it is the fact that he is standing in an EMPTY auditorium FULL OF FANS. Perhaps it is the way he smiles and then starts whistling even as the hundreds of fans twirl, the promise that no one can take his fans away from him still lingering over us like a death threat. Did it occur to no one that the creepy factor could be dialed down and the nostalgia factor could be dialed up simply by having him sitting at home, in a peaceful and lovely arm chair, with ONE fan next to him? Join us! Join us! Join us and never leave again! never! That idea didn’t work for you guys eh? You decided to go with the option b – Psycho? To be fair, we feel it is actually is not such a bad concept, once the chills and goose bumps die down. Despite the whistling murderer look, I thought the ad was a great example of brand matching image. It was fun to see Rajesh Khanna taking a dig at what has to be a painful acknowledgement for him – his spiral into obscurity. 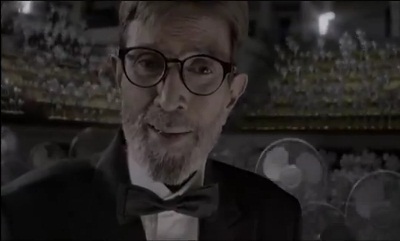 Lets face it, there was a time when this man could not walk the streets without the army being called out to control the horde that was his fans. The whole pun that even though those nutters are gone (thank god, I say), some fans are still with him is pretty clever. although we have no idea how this is going to sell any fans. If we were told – buy this fan because in the end, when all human life abandons us to my tears and faded memories, this fan will be the only thing left. In that situation, the fan would seem less like a sturdy brand that accompanied us throughout our life and more like the perfect spot to position our noose. Side Note: We have always LOVED your films Rajesh Khanna and on behalf of the Lords of Zor, we hope you get better. you must hand it to kaka – after chemo, broken leg and looking so weak and almost ghostlike, he has the sense of humour to come out and shoot this. he has millions of real life fans even today…any one who sees even one song of his is hooked for life. get well soon Mr Khanna . he was the king of kings and today can laugh at it …every other star wants to be like him but cant even polish his boots . Rajesh khanna should have never done such an ad. The first time I saw it, I thot it was some one else. As a fan, I would have liked the memories of his mesmerising looks in amar prem & anand. But the best part is he has a dig at his old “friend” amitabh. Rajesh & amitabh fans have never seen eye to eye & that holds good even today.